Edit: Most people won’t need this anymore, as Bioshock 2 now finally includes native controller support! Steam versions of the game should already be updated. Existing versions also include Minerva’s Den free! 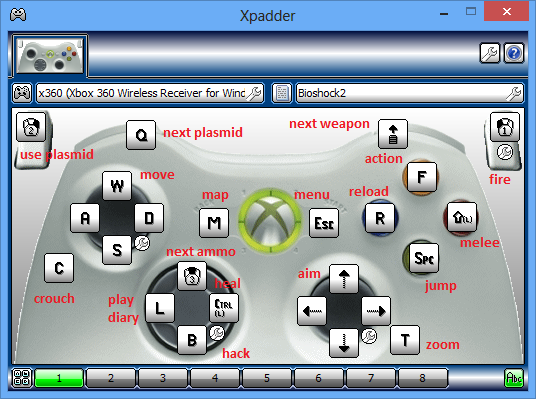 xPadder allows you to use controllers with games that only support keyboard and mouse. You can share profiles for games and controller. This will work with Bioshock 2’s default key bindings, so no fiddling needed. It improves on one I found online, it’s about as good, and intuitive, as possible.